I’ve been in a bit of a Pinterest slump lately. I’ll find a project I like while scrolling through pins only to realize that I either 1.) Can’t find the actual tutorial. 2.) Don’t have the necessary tools or supplies on hand or 3.) I’m simply not skilled in that XYZ area of crafting. It’s been quite frustrating to go from being inspired to being completely bummed about the idea of crafting. That’s why I’m so glad that our new free eBook is called 12 Easy DIY Projects. And rightly so. Covering almost every area of crafting, these free tutorials are all in one place and all quite easy to do. That’s the beauty of it! 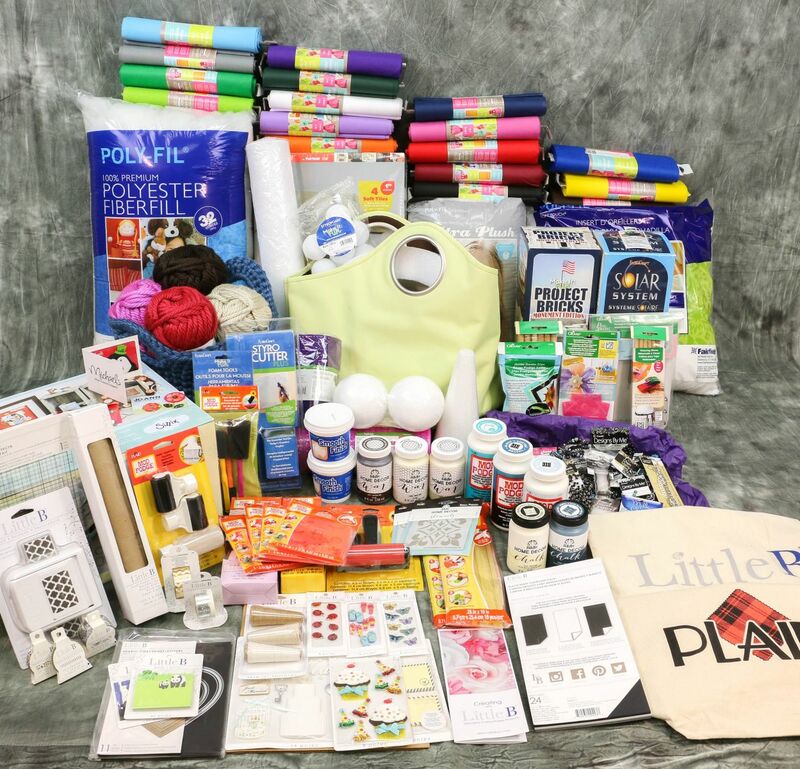 Featuring projects from Clover, Fairfield, FloraCraft, I Love to Create, Little B, Plaid, Prima Bead, Simplicity, Spinrite, Sizzix, Stencil1, and STYROFOAM™, you’ll find that crafting doesn’t need to be complicated or confusing to produce amazing results. There is something for everyone in this free eBook and we hope you invite your best crafting buddies over to try out these projects together! Oh, and I almost forgot! With this free eBook this month, we are offering giveaways each day from the sponsors above! How awesome is that?! Read our review of the Big Shot Starter Kit. Read our review of the Little B Embellishment Bundle. Read our review of the Simplicity Bias Tape Maker. Read our review of the Tulip Color Shot Fabric Dye Set. Read our review of STYROFOAM™ Kits and Gift Cards. Read our review of the Plaid Prize Pack. Read our review of the Beader’s Delight Box. Read our review of Seasonal Styrofoam Décor. Read our review of the Swallow Ornament Kit. Ready for the best surprise announcement ever? This, ALL of this, could be yours! Aren’t our sponsors the greatest!? Be sure to enter for your chance to win! The deadline to enter is February 28, 2015 at 11:59:59 p.m. Eastern time. What is your favorite thing about crafting?